BREAKING BANDS FESTIVAL DOUBLES IN CAPACITY WITH NEW LICENSE! Apparently size doesn’t matter… except when you want to get more people to celebrate some of the best bands on the underground scene all in one amazing location. 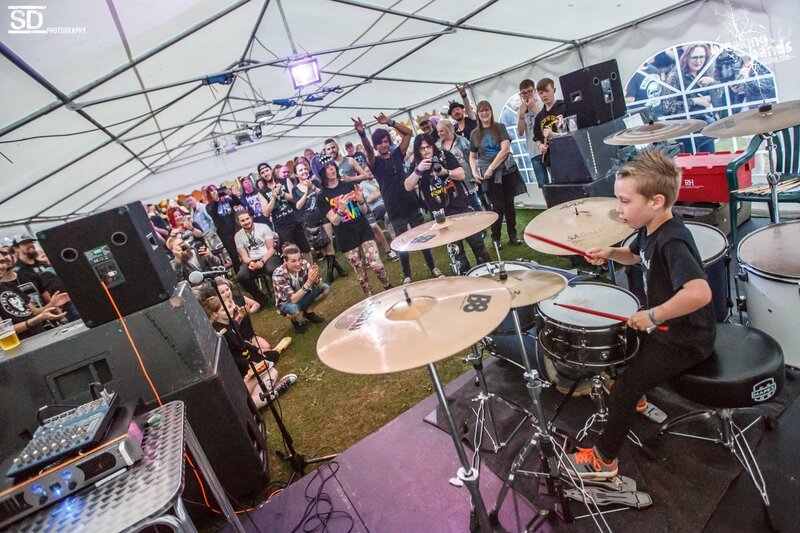 Breaking Bands Festival has been growing steadily in the first 4 years with the organisers always keeping an eye on how to expand but stay at the picturesque location in the middle of the Worcestershire countryside. About a year ago a meeting was had with the venue owners and a plan put in place to get an extended license to double the capacity of the site with the installation of a marquee stage. A stage was put in at this years festival to test this theory out and it was a complete success so a license application was put forward. After months of agonising waiting, public notices in the newspapers and meetings with emergency services, councils and locals the green light has been lit and the application for Breaking Bands Festival 5 has been approved. Festival Director Jay McGuire said “We had a 5 year and a 10 year plan. At 5 years we wanted to double capacity and we have worked hard with venue manager Mark to achieve that without having to relocate. Our next objective is to fill the venue, the marquee stage and the whole site with like-minded rockers who support the next generation of musicians. With more people coming to Stoke Prior the party can get bigger, the bands get more exposure and the local area can also benefit from the extra capacity when people are booking hotels, taxi’s, takeaways and even going to the local supermarkets to top up on beers! Everyone wins!”. The expansion of the festival has also given the green light for live music on the Thursday night which until now has just been a day of people arriving early to be ready for the 3 days of bands. Discussions on whether to extend the live music are in place. Talking of bands, the next announcement of bands is imminent and that is perfect timing with the expansion of the festival. Keep an eye out on Facebook and the new Breaking Bands Community app for more info. CLICK HERE TO PURCHASE YOUR WEEKEND TICKETS!! !